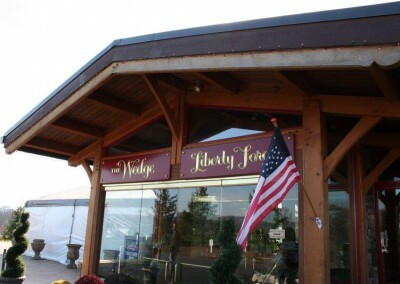 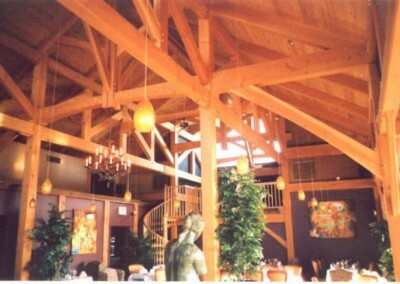 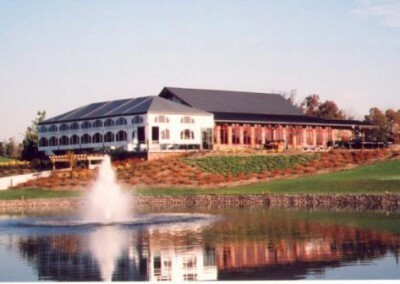 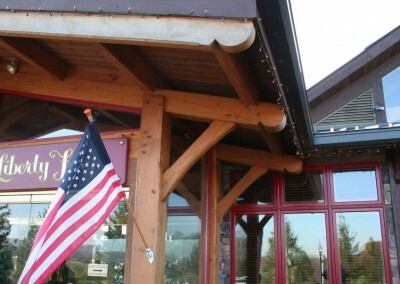 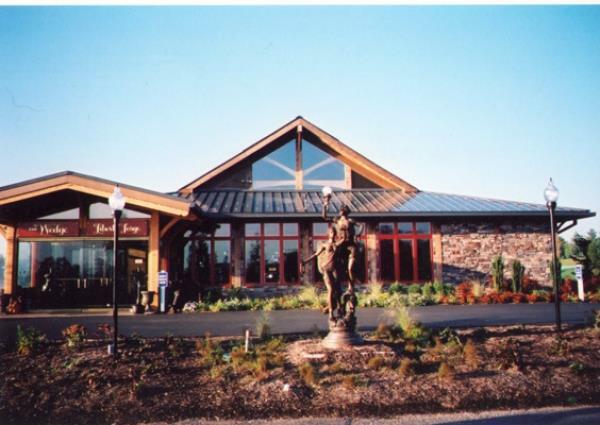 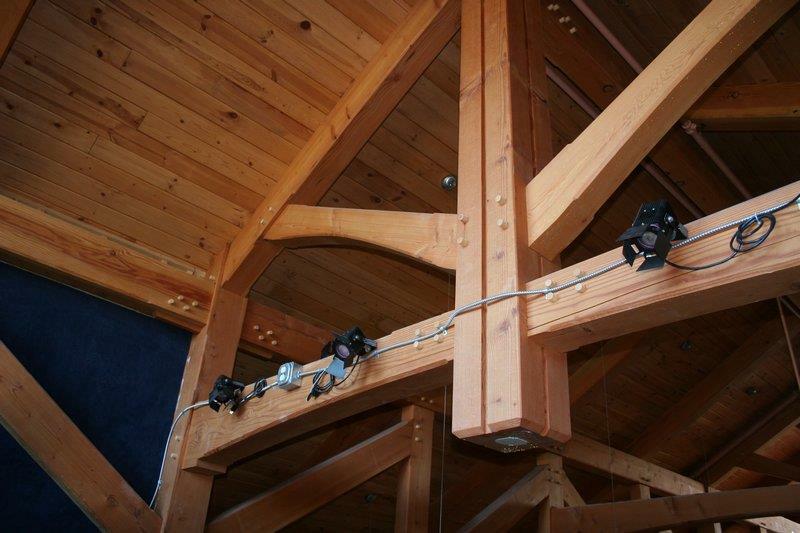 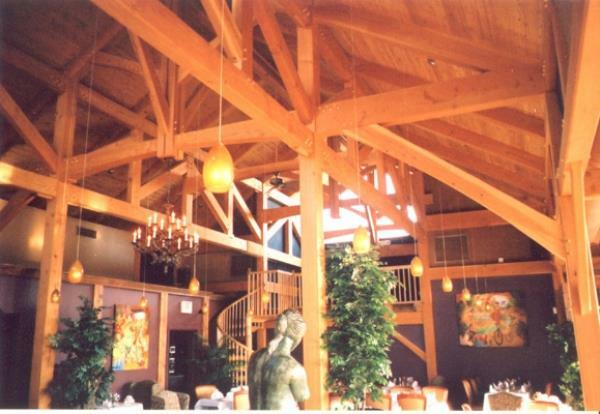 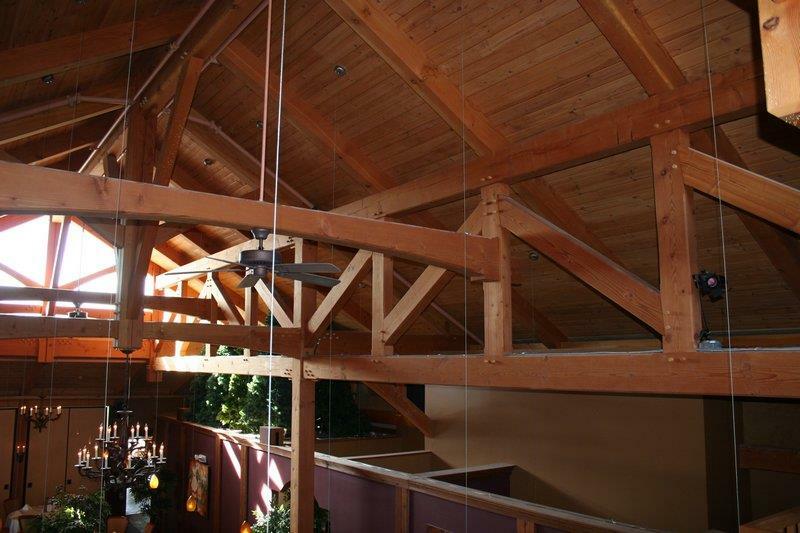 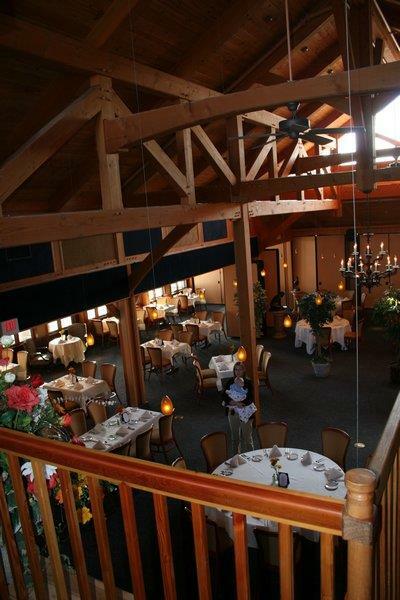 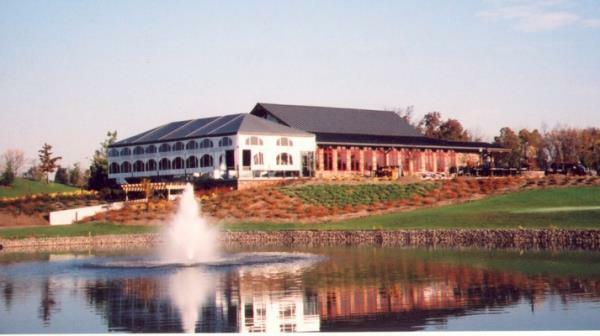 The Altland House Restaurant at Liberty Forge Golf Course | Lancaster County Timber Frames, Inc. 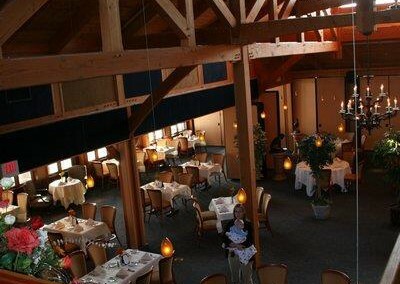 The Altland House Restaurant in the clubhouse of the Liberty Forge Golf Course is housed in a sprawling fully timber framed space. 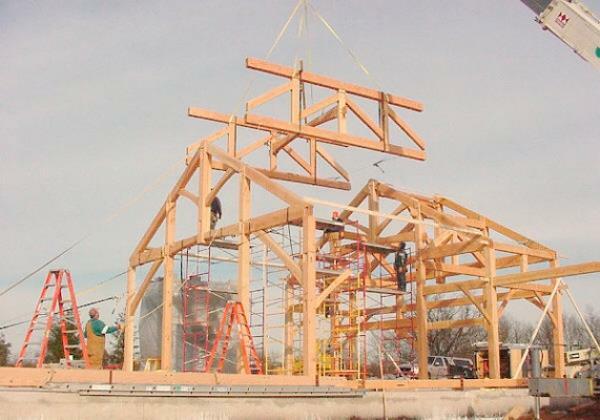 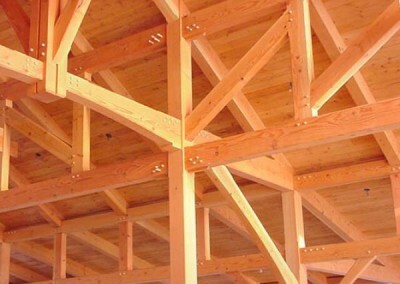 The frame itself required just shy of 31,000 board feet of select structural Douglas fir, and is topped with red pine tongue and groove roof decking and a built-up roof system. 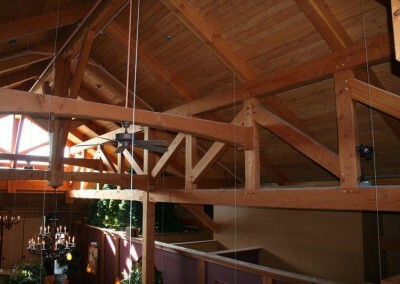 Bridge trusses connect kingpost bents the entire length of the space, and wings with a lower pitched roof expand the space outward on both sides. 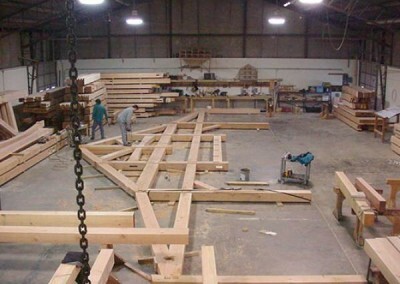 The frame design, while fairly conservative, has a number of interesting details, such as the “quirks” (routed grooves) running the height of the kingposts; and lower chords with a curve on the lower face stopped short of the timber columns. 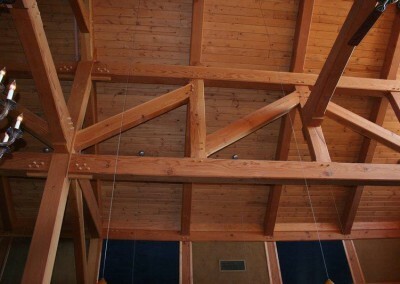 A clear oil treatment finishes the timbers and exposes their natural character and warmth. 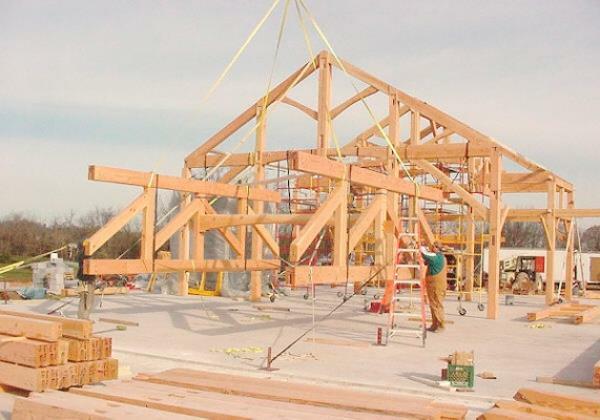 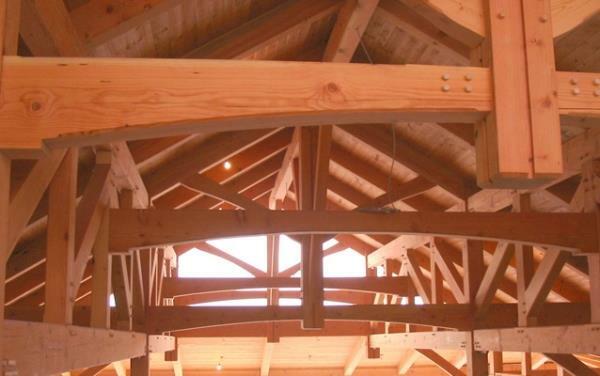 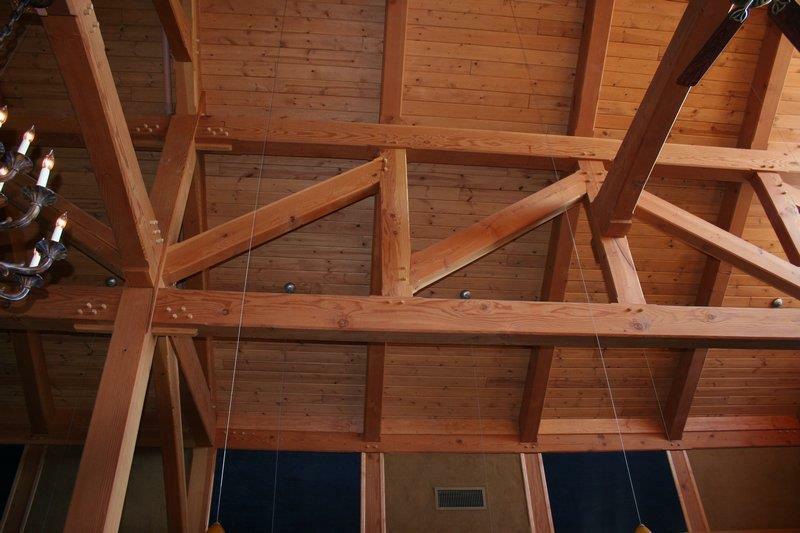 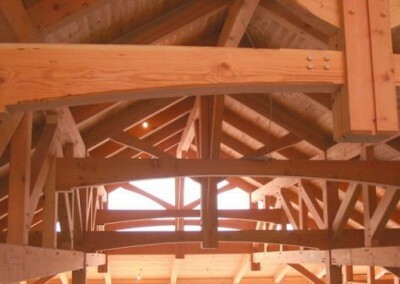 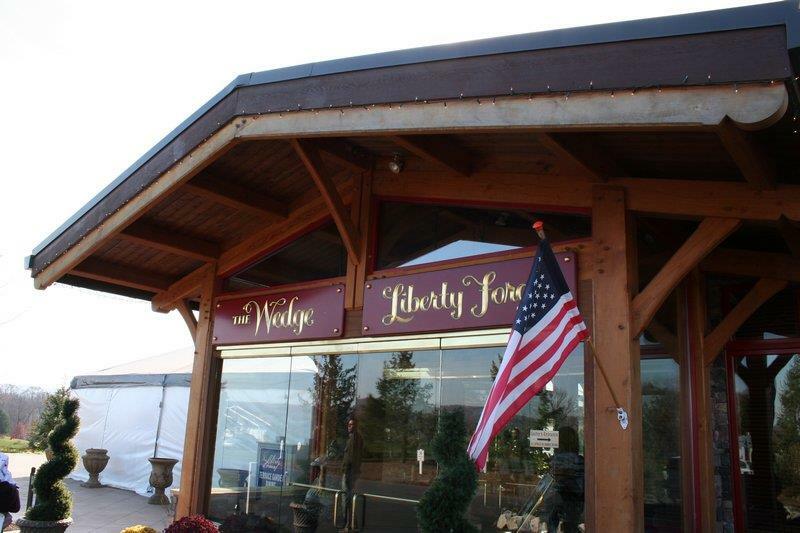 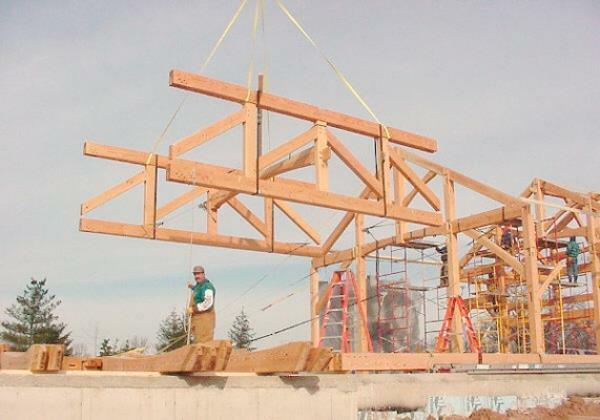 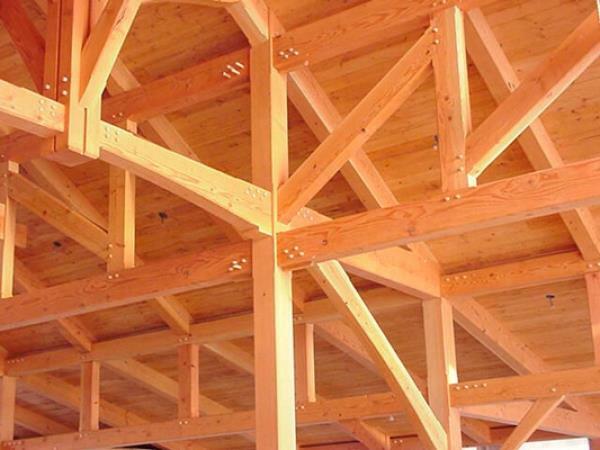 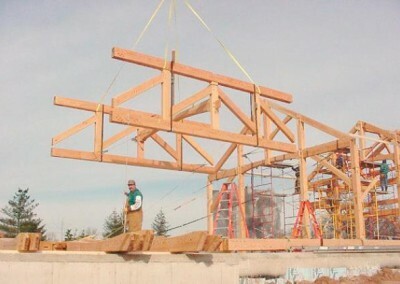 Designer: Lancaster County Timber Frames, Inc.